The free resource ‘Children Coming to Hospital’ has been developed between Edge Hill University and children and young people based on research findings. The resource is made up of two short animations and a comic strip which aim to make hospital visits better for children. The animation and comic strip for children has information about what may happen when children come to hospital for procedures such as scans, X-rays and blood tests. 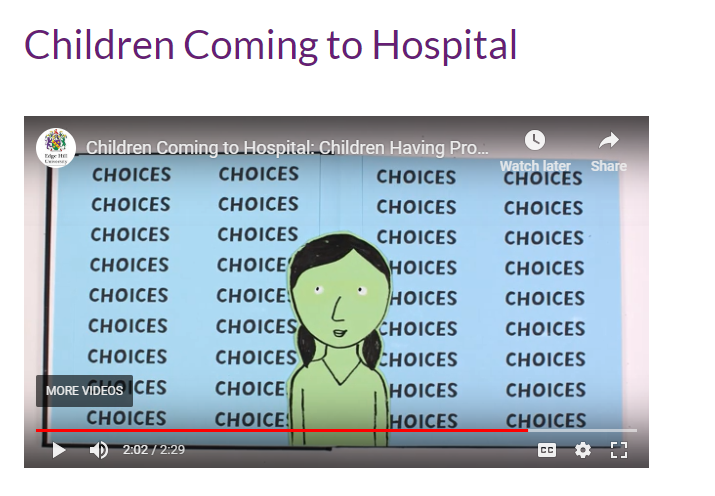 The resource also includes a short animation for health professionals with practical advice about how to support and communicate with children coming to hospital. The animations and comic strip are FREE to download and will be shared with hospitals and clinics so that children coming to hospital can access them easily.